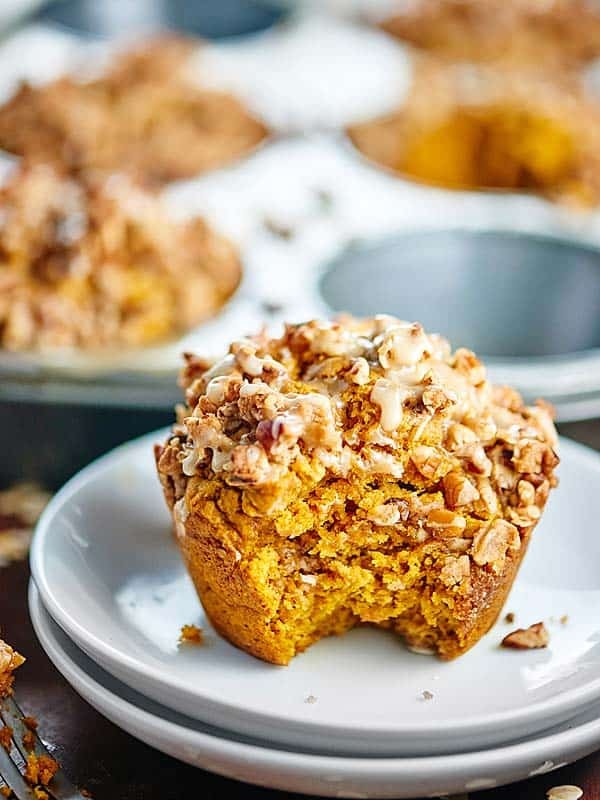 These healthy vegan pumpkin muffins are made w/ whole wheat flour & are naturally sweetened w/ maple syrup! They’re topped w/ pecan streusel & maple glaze! I can’t be stopped. I can’t stop making muffins! I hope you’re ok with that, because today, I’ve made you guys Vegan Pumpkin Muffins w/ Pecan Streusel & Maple Glaze. 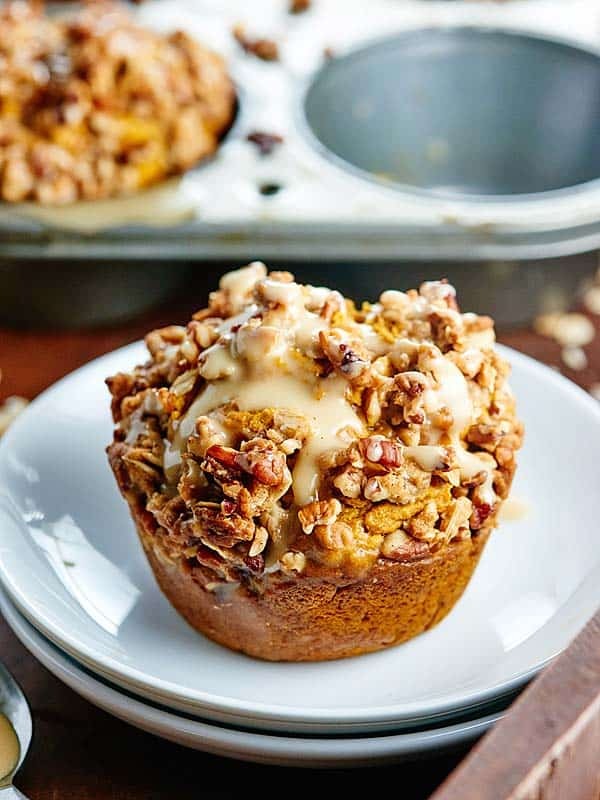 They’re not juuuuuust Vegan Pumpkin Muffins w/ Pecan Streusel & Maple Glaze. They’re also healthy, made with whole wheat flour, and naturally sweetened with maple syrup! They’re also my new favorite muffin. And I know I always say that, but for real this time. Promise. Now that Trevor’s working on some exciting new things for the blog (we’ll fill you in later! ), he’s been staying up crazy late. Which means, I’ve been staying up crazy late. These vegan pumpkin muffins were made and photographed, ahem, and eaten at 2:00 AM. I couldn’t sleep, so what the heck, let’s just bake! There are THREE glorious parts to this recipe that I’m so excited to share with you. 1. 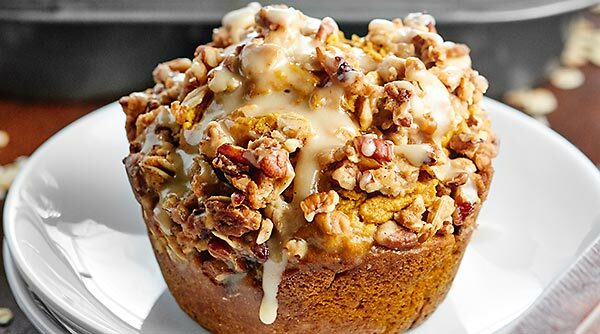 The pumpkin muffin. 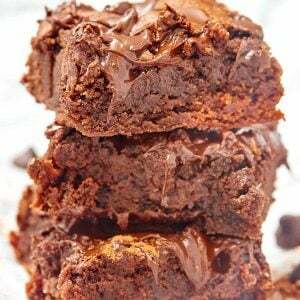 Moist – like really, I know people don’t like that word, but holy cow these are moist – tender, fluffy, ugh. Perfection. Oh yea, and I made these JUMBO sized. 🙂 Jumbo muffins are the best. 2. The pecan streusel. Or crumble. I can’t decide what to call it. Whatever you call it, it’s my favorite part of the muffin. It’s crunchy, gets toasty in the oven, and I ate half of it before it could make it on the muffins. 3. The maple glaze. ♡ This maple glaze should go on anything and everything. Don’t argue with me, just accept it and make it immediately. The first thing you’re gonna do when you make this recipe, is make the pecan streusel. Let me tell you, you’re going to want to eat the whole bowl by itself, but trust me. Contain yourself and put it all on top of the muffins. 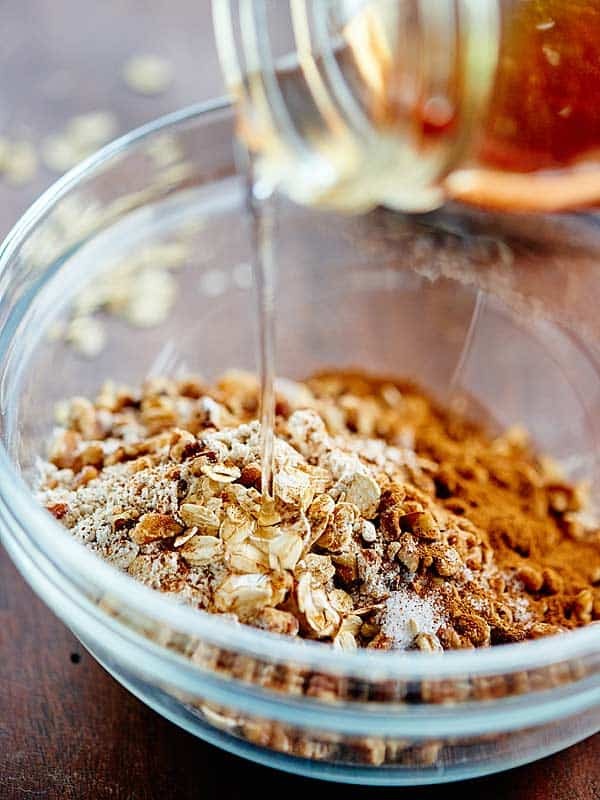 All you need to do for the pecan crumble is mix together rolled oats, whole wheat pastry flour (I always use Bob’s Red Mill Whole Wheat Pastry Flour), pecan pieces, some spices, coconut oil, and maple syrup until it combines. How easy is that? Plus, it’s sticky, sweet, crunchy… yum. 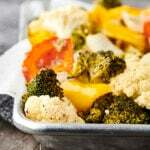 Set this aside (and remember, try not to eat it all) while you make your vegan pumpkin muffins! Whisk together dry ingredients, whisk together your wet ingredients, combine the two, top with the almost too good to be true pecan streusel and wham, bam, thank you ma’am…you’re done! 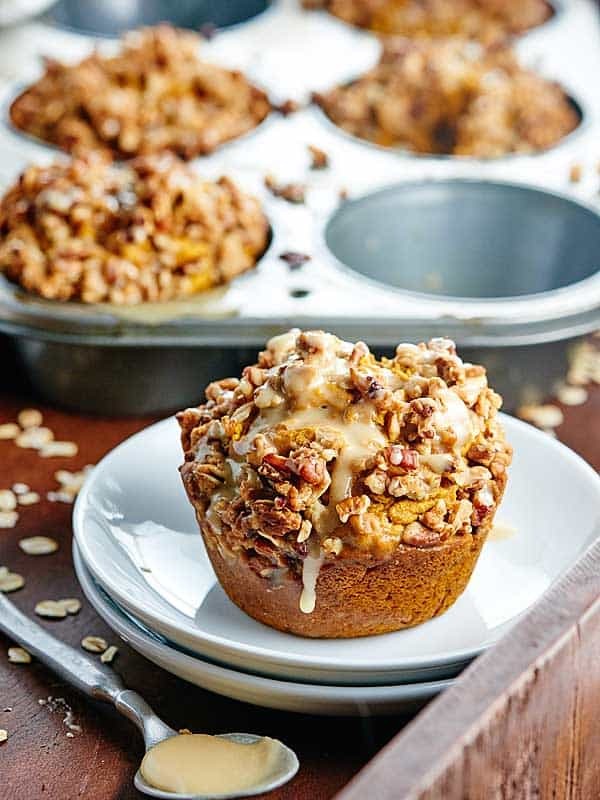 Oh, and like I said, these muffins are healthier than your standard muffin, because they’re loaded with whole wheat pastry flour and pumpkin puree and are naturally sweetened with maple syrup! While these vegan pumpkin muffins bake to golden p.e.r.f.e.c.t.i.o.n. 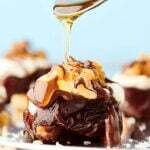 ♡ , you’re going to whisk together a simple maple glaze. I literally ate this with a spoon and had to make a second batch. Trevor did the same, but used his finger. The glaze is just a combination of powdered sugar (hey, we’re splurging a bit 😉 ), coconut oil, vanilla, and maple syrup. Drizzle this loveliness over a warm muffin and I swear you’ll be in heaven. 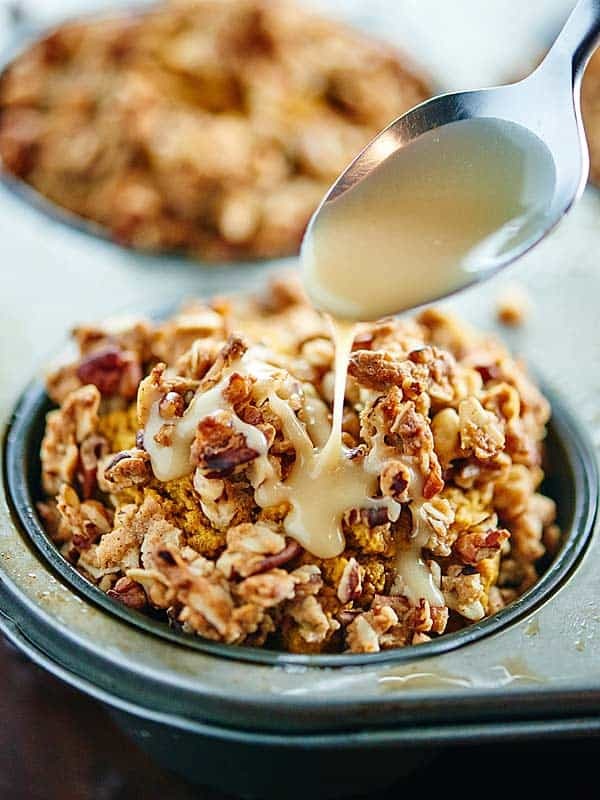 Warm, jumbo, tender, lightly spiced, vegan pumpkin muffins topped with toasty, crunchy pecan crumble, and drizzled in a sweet, cozy maple glaze. Vegan Pumpkin Muffins all the time? These healthy vegan pumpkin muffins are made w/ whole wheat flour & are naturally sweetened w/ maple syrup! They're topped w/ pecan streusel & maple glaze! Whisk together dry ingredients: rolled oats oats, flour, pecan, salt, and cinnamon. Set aside. Whisk together wet ingredients: coconut oil and maple syrup. Mix the dry and wet ingredients together and set aside. 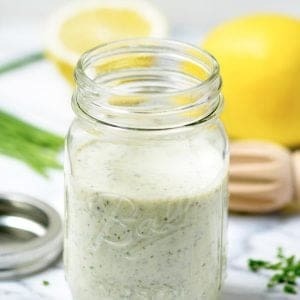 Combine the milk and vinegar in a measuring cup and let sit for 5-10 minutes. Preheat oven to 425ºF. Grease a jumbo sized (6 slot) muffin tin and a standard sized muffin tin (you'll only use 6 slots) with cooking spray. In a large bowl, mix together the dry ingredients: flour, baking powder, baking soda, salt, cinnamon, nutmeg, cloves, and ginger. Whisk together maple syrup, oil, vanilla, pumpkin puree, and the milk + vinegar mixture. Using a rubber spatula, stir together dry and wet ingredients - DO NOT OVERMIX. Fill the prepared muffin tins (use 1/2 cup for the jumbo and 1/4 cup for the standard) with the batter. 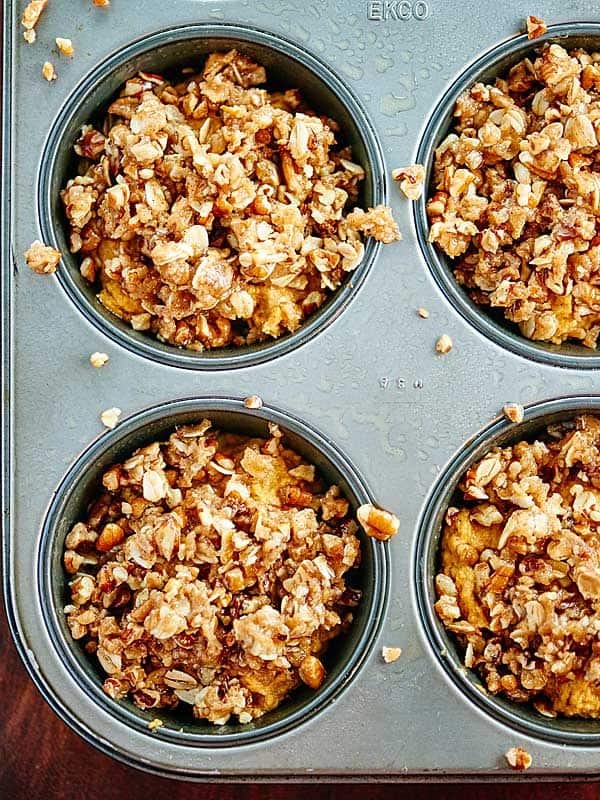 Top with the pecan streusel - about 2 tablespoons for the jumbo and 1/2 tablespoon - 1 tablespoon for the standard muffin. Bake at 425ºF for 5 minutes. Then decrease the heat to 375ºF and bake for another 5-8 minutes (for the standard muffins) and another 10-15 minutes (for the jumbo). Remove from oven and let cool for a few minutes before removing from the tin and topping with the maple glaze! Whisk together glaze ingredients, excluding the almond milk. If you'd like a thinner glaze, whisk in the almond milk. Drizzle over muffins and serve! * This post contains affiliate links. We receive a commission on purchases made via these links. The price you pay is not affected by using them. Wow! These look soo delicious. They almost (almost!) look too good to eat. We will definitely be making these. P.S. Keep the muffin recipes coming:) We love them! Ha!! Thank you 🙂 I love textured baked goods too! These muffins look so delicious! I’m not sure about the Maple glaze, sounds like they are too sweet, but I’ll try them. I’m planning to make these tomorrow! I sure hope they will work with an all purpose gluten free flour I buy. Have you or anyone you know tried this? Also, do you think I should sift the flour since GF flours do not come as “pastry flours” (at least from what I’ve found) THANKS SO MUCH!! 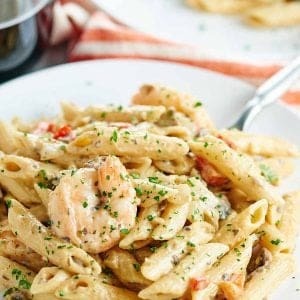 I have noidea how I came across this recipe but I’m going look at more of your recipes! Hi Julie! That’s awesome! You’ll love them…seriously my new favorite muffin. 🙂 I’ve heard that Bob’s Red Mill GF All Purpose Flour works beautifully (I’ve had another reader use it in my Pumpkin Bread recipe). Sifting the flour certainly won’t hurt it, so might as well. 🙂 What brand are you using? I’d love to hear how it works out! Thank YOU for making them! 🙂 I hope you find other recipes you enjoy as well! Oh! this muffins looks so perfect. I can’t wait to try this. We just tried out this recipe and the muffins came out okay… We substituted granulated cane sugar for the maple syrup because we just can’t afford to spend $$ on good syrup! This resulted in a dryer batter, as you can imagine, so we added more pumpkin purée and milk. I was wondering – What consistency should the batter for this recipe be normally? Should it be just a bit thicker than cake batter? Our baking time was a little longer than expected, but the muffins are incredibly moist! I added chopped shelled and roasted pumpkin seeds, sunflower seeds, and walnuts to the streusel instead of pecans and it came out delicious! The muffins were a little under sweet, but that may be due to not adequately substituting for the missing syrup. We also decided not to take the time to make a glaze. Hi CJ! So glad you enjoyed the recipe with your substitutions! 🙂 For every 1 cup of sugar, you only need about 3/4 cups of maple syrup, but then you also have to reduce the amount of dry ingredients, so that may be why your muffins weren’t quite as sweet. The granulated sugar, added milk and pumpkin would definitely affect the consistency of the batter. It is a thicker batter (it’s not runny at all) and the glaze would definitely help make these a little sweeter, if you like. Some people prefer the muffins with or without…it’s just personal preference on how sweet you like your muffins. 🙂 I love the idea of the pumpkin seeds, sunflower seeds, and walnuts! 🙂 Thank you so much for making the recipe! Happy Thanksgiving! Thanks for the beautiful recipe, mine are in the oven right this moment. Have you tried freezing these muffins with success? Already strategizing how I am going to keep myself from eating them all! You’re so welcome, Katrina! Thank YOU for making them. 🙂 I haven’t tried freezing them, but I did freeze my Vegan Banana Muffins and it worked like a charm! I’m sure these would freeze just fine! Thank you for this recipe! I consider myself a beginning baker, so the way you wrote the recipe made it really easy for me to follow! 🙂 plus, I didn’t make very many mistakes, so the muffins turned out really good! I was very impressed with the glaze too! The recipe is also pretty healthy, but also sweet. I loved the recipe, as you could probably tell! I will be making these again on Thanksgiving morning. Thanks again!! These are literally some of the best muffins I have ever made! I brought them to a Halloween party and not a single person realized they were vegan till they saw me take a bite. They were absolutely delicious and can I say, the pecan streusel and icing were perfect. The super crunchy topping mixed with the light and fluffy bottom were the perfect combo. Wow I am an infant vegan of only 1 month in! These are fantastic! The recipe was to the “t” it made exactly 6 jumbo and 6 reg sizes! THank you for this great recipe! Delicious, moist and a for sure winner at this years Thanksgiving Vegan Feast! I have made these muffins over and over. This is my all time favorite muffin recipe. Even the batter is so fluffy. My husband and daughter love them too! A staple at our house, I wanted you to know! Thank you for sharing! 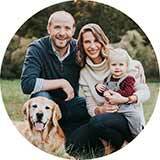 We're Trevor and Jennifer, we live in Raleigh, North Carolina with our 70lb lap dog, Teddy. We love food and together, we are on a mission to find all things YUMMY!